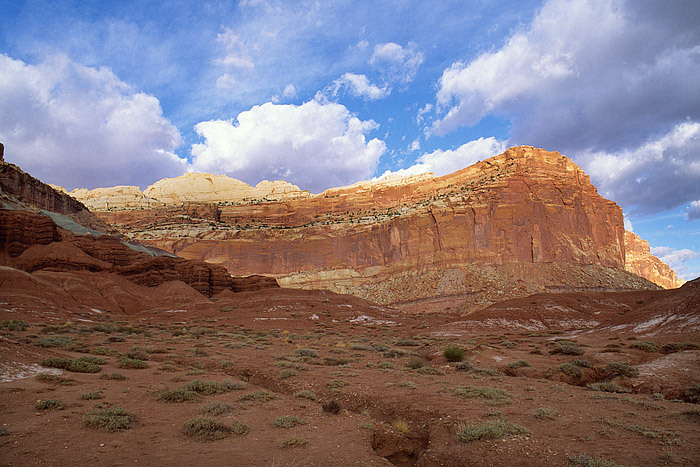 Menacing clouds form over the sandstone mesa's along the Waterpocket fold in Capitol Reef, National Park. Though these clouds appear menacing, southern Utah's dry climate will prevent these clouds from releasing any moisture on the already parched landscape of the Colorado Plateau. Photo © copyright by Thomas Mangan.